Customized Fiat 500s will be in full force at this years SEMA show (Oct 30 - Nov 2). Each year, the Specialty Equipment Market Association (SEMA) show highlights products from the best automotive aftermarket and accessory makers in the world. The Fiat 500 is all about personalization, and there are over 500,000 ways to order a 500 the way you like it; but if that is not enough, SEMA has you covered. 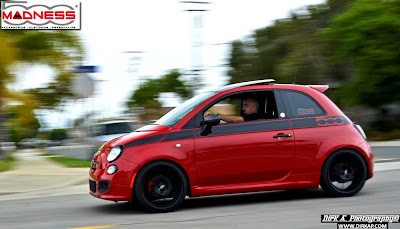 Last year, the Fiat 500 won SEMA's The Hottest Sport Compact Car Award. This year expect to see the aftermarket embrace the new Fiat 500 Abarth, and get ready to see some seriously custom Abarths. 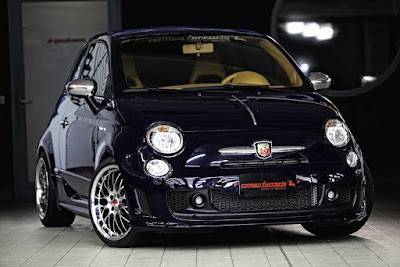 Keep an eye open for a new Magnetti Marelli creation based on a 500 Abarth. Maybe the Venom II or beyond? 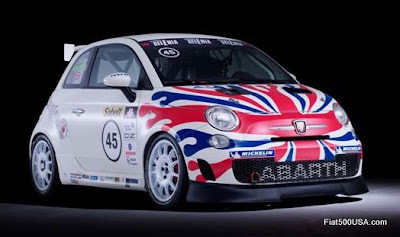 FIAT USA will also display a customized Fiat 500, 500c Cabrio and Fiat 500 Abarth. The SEMA show is not a public show, but FIAT USA has put a contest together to allow a lucky winner and friend the opportunity to attend the show and take a personal tour of the 4 custom Fiats that the company will be displaying. This contest ends Oct 5, so make sure you go to the Fiat USA Backstage Blog to sign up! Go to the Fiat USA Backstage Blog to enter the Confessions of a Customizer contest. Can't make it to the show? No worries, Fiat500USA has the best Fiat vendors in the country ready to help turn your car into something extra special. Give them a call, hit their websites up and don't forget to visit the Fiat 500 USA Forum and see what other Fiat owners are doing with their cars!